The Endless Dress is the ONLY dress pattern you are EVER going to need. ** We understand with that many options you might be jumping around a LOT ... to help make it a bit easier we've included a clickable table of contents to make navigating through the pattern super simple and just a simple click. 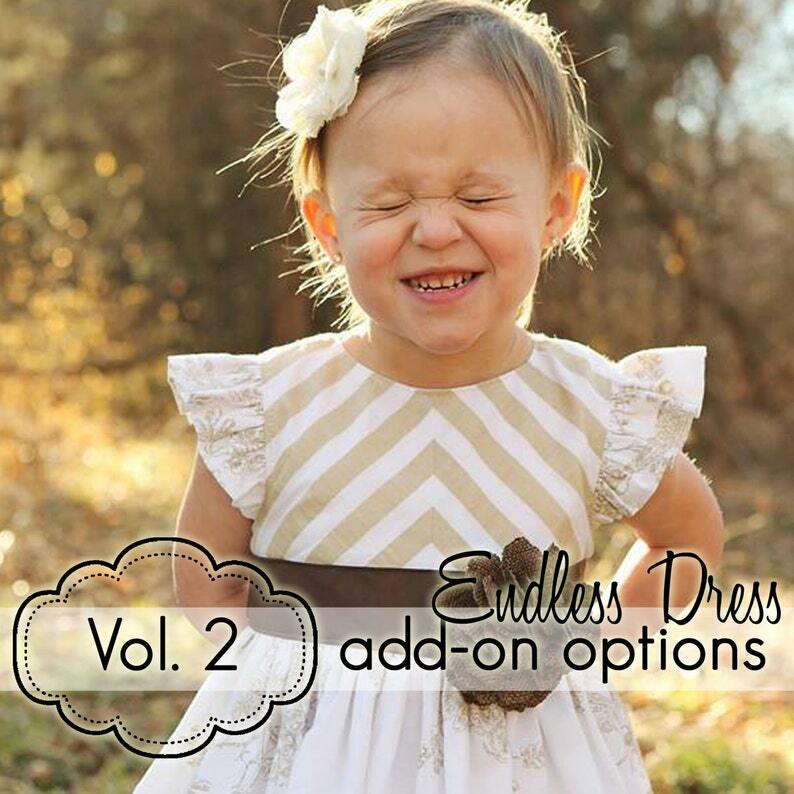 You will receive: ONE (1) pdf sewing pattern with 29 pages of step-by-step sewing instructions (65 steps and 93 color illustrations and photos) and 5 page of patterns to guide you along as you make your optional add-ons to the Endless Dress. *NOTE: this pattern can be combined with the "Everyday Princess Top" and the "Circle Flounce Dress", both are available for purchase separately in my shop.